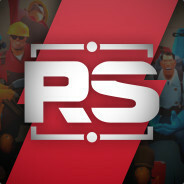 Rushy Servers is the home to many beloved and heavily customised gamemodes for Team Fortress 2, Killing Floor 2, Left 4 Dead 2 and Counter-Strike: Global Offensive, among other titles. These gamemodes range from Achievement/Idle and Zombie Survival, to other oddities such as Equally Randomised and Smash Bros. Being a part of the official Steam group grants you access to the votemenu, which allows you to petition to mute or ban players, and some commands on the Idle servers. To get even more perks, consider donating by clicking the Donate link in the links section below. To connect to the servers, type rushy in the server browser's Tags box, or check out the server list on the official website. Please post issues or suggestions on the forum website for greater support. Thanks for participating in the survey, it is now closed after reaching the 20 participant goal. What follows are the results of the survey and my interpretations of the data. The following maps were subject to the survey: Arena Offblast, CP Firewatch, CP Furnace, CP Ghastlane Event, CP Lushlands, CP Snakewater, CTF Frosty, KOTH Canada, KOTH Dewm, KOTH Nerve, KOTH Rooftop Reborn, KOTH Slasher, KOTH Urban, PL Barnblitz, PL Goldrush, PL Thunder Mountain, ZS Hoodoo, ZS Rottenburg, ZS Skyscraper and ZS Turbine. Campiness is measured as the difference between players knowing only one defensible spot and switching between multiple. KOTH Slasher (score of 5). All of the additional comments point the blame at the shacks on this map, and since all of the defensible spots are essentially one-way shack-like areas, Slasher will likely get removed rather than fixed. CP Furnace (score of 4). I don't believe this is accurate as the map is fairly new and people are unaware of the multiple spots available on the map. The additional comments seem to point to how new the map is as well. KOTH Canada (score of 2). Canada is campy in the sense that the map is open (therefore roaming is favoured) and its defensible spots are quite hard to breach as a Medic. Based on my experience, Canada will probably get removed. KOTH Urban (also score of 2). Urban is not as campy of a map as Canada so it will not be removed. Arena Offblast (score of 1). See later comment. Team balance is measured by halving the votes for slight skews in a map's balance and finding the difference between the Medic and Engineer skews. ZS Turbine (score of 9.5). While I don't agree that the map is imbalanced (due to the ~35% win rate), I do know that Engineers constantly going to the vents is a major issue. Since I no longer have the desire to update it, we will probably be removing this map from rotation. ZS Hoodoo (score of 6). Hoodoo's length is likely the cause of the Engineer skew, since it takes Medics much longer to reach the good defensible spots in the second zone. I will investigate ways to make this problem less apparent in future updates to the map. ZS Rottenburg (score of 5). Like Canada, this map is quite open and favours roamers, however since it is a very popular map, I will be working on fixing it with Yellow Sage's oversight. KOTH Nerve (score of 6). This map is too new to make a definitive judgement on whether it should be removed or not, so I will be watching Nerve games for a little while longer. Arena Offblast (score of 5). Arena maps are fundamentally Medic-skewed because of their small size. Seeing as there is no workaround for this, all Arena maps will likely be removed from the weekend-only rotation. CP Lushlands (score of 3.5). Ever since Lushlands replaced Badlands, people have been more critical of the map's layout, for F2Ps aren't present in large numbers. This has shown us that Badlands is not suitable for Zombie Survival, and we will likely be removing Lushlands from rotation. Popularity is measured by halving the votes for non-vocal voting and finding the difference between against and for votes. CP Ghastlane Event (score of 6). This map is understandably the least voted for map because of its sheer length and very powerful defensible spots near RED spawn. Fastlane is simply not suitable for Zombie Survival, no matter what form it is in. KOTH Dewm (score of 5.5). Like Nerve, Dewm is too new, but I am aware that finding defensible spots on the map is difficult, so I will be watching future games. KOTH Canada (score of 5). See previous comment. ZS Turbine (score of 4.5). See previous comment. KOTH Nerve (score of 4). See previous comment. 6 brute force attack as Medic. 14 flank attack as Medic. 7 use the Amputator to heal. Update existing features with new content (45%). Add new features despite the large amount of effort that is required (35%). The credit store is perfectly fine the way it is (20%). 13 want to donate to the server with TF2 items such as keys. 5 want donation prices to drop to around half of what they are currently. 4 want donation tiers to be eradicated so a dollar represents a constant amount of time. Please feel free to comment below if you would like to respond to any of my interpretations in these results. The additional comments from the survey and the comments to this announcement will be shared with other moderators in due time. 6 more survey participants needed! We're almost there. Just 6 more people so we can get a total of 20 participants and make a more accurate prediction on what maps need fixing or removing. Please note that you will need to sign into Google to complete the form, but your Google account information is not shared to us when you complete it. All of our servers can be found by typing 'rushy' into the server browser tags box and clicking Refresh all.